Dexter is a show that airs exclusively on Showtime, based on a series of novels by Jeff Lindsay named “Darkly Dreaming Dexter”. 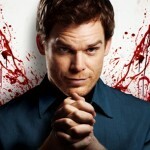 Now about to air its 7th season, Dexter has a huge following. This show is about a serial killer who also happens to be a blood-spatter analyst. As with any multi-seasonal show of over 5 years, some seasons are strikingly better to some viewers than others. Featuring Michael C. Hall as the star [Dexter Morgan] and executive producer, this show takes on a very interesting level of personal introspective content. The writers of Dexter leave Michael to his own interpretation of inflection and emotion to make a strikingly realistic display of emotion from the star. The writers describe him as an acting genius, and mention time and time again in interviews that they try not to write or direct his actions too much. They write in lines and situations and leave him to his own devices as how to create the scene. With this method, Michael C. Hall has taken horror television to a new level of realism. In the show, Dexter has many different situations that question his morals, sanity (or lack there of), and freedom. With a code implemented by his dead father (who appears frequently as apparition/flashback/mental reflection – seen as talking to himself) Dexter tries to keep to his “code” of killing only those who are deserving of death. Killing members of the community who kill innocents and family, community scum, wife killers, and child molesters strikes a certain cord with viewers. Most people are opposed to killing of others, but can not deny some people like these are very deserving of death. This creates a moral quandary with some viewers that keeps them even further deepened into the plot of the show. Following in his father’s footsteps, Dexter and his sister Deborah [played by Michael C Hall’s real life now ex-wife Jennifer Carpenter] work for Miami Metro Homicide. His sister works as a detective like their father, which is how he was able to tell Dexter so very well how to hide his affinity and crimes. Working for the homicide unit allows Dexter to keep up on new methods and crime solving tactics, allowing him to continue his crimes without capture. He also at times uses his position to weasel out of identification. Dexter happens to be very guarded and absent emotionally, triggering some problems with other cops getting their famous “hunch’s”. With his deep character definition and sister completely in the dark about her brother’s ‘dark passenger’, this show keeps the viewer ever interested and deeply entertained. Dexter explores a whole range of human emotion and experience before your eyes in stunning realism. 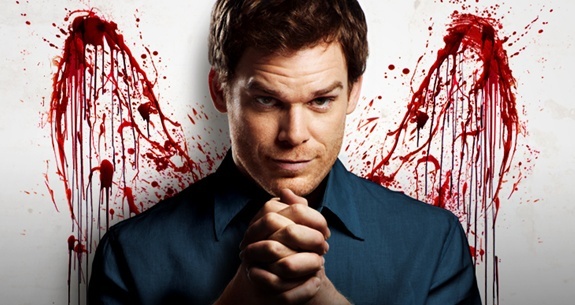 I suggest anyone who loves dark and horrific drama to enjoy this show with the other millions of viewers captivated by Dexter’s wonderful storyline. I doubt anyone could be truly disappointed.